Having worked in the junk removal business for the last 6 years, I’ve seen many different junk removal pricing plans. 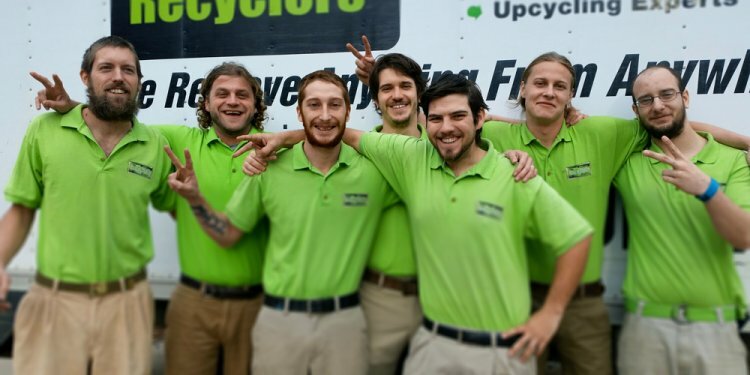 Since this is a topic that every junk removal business has to answer, we thought we would explore the topic and find out what factors you should consider when pricing your junk removal services. We’ve also compiled a list of junk removal prices from companies in the South Florida area. But before getting into pricing, I wanted to explore the factors of how junk removal businesses price their services. There are a few standard pricing strategies when pricing any service or product. Since junk removal is a service-based business, pricing tends to be more subjective, thus leading to wildly different pricing models. Cost Plus Pricing – By far the most common type of pricing is Cost plus pricing. Just like the term implies, cost plus pricing seeks to determine how much the service you’re offering cost you, allowing you to determine how much more to charge, so that you can profit. One catch is that you need to determine your direct cost as well as any indirect cost associated with your junk removal service. Direct cost would include items such as staff, supplies, and travel, whereas indirect cost would include items such as rent, utilities, and equipment. Price positioning strategy – If you start a junk removal business and fail to research what the others are charging in your area, you may be wildly off the mark when launching your service. That said, junk removal businesses that only compete on price are also destined to fail. Think about it. If your customer is using you service because you are the cheapest junk hauler in the area, what’s to stop him from using someone else who drops the price by another $20? Nothing. This is why it is essential to create a Unique Selling Proposition or USP. Making you service unique allows you to protect you pricing structure and charge more. Don’t believe me? Think Starbucks. They sell cups of coffee for close to $3.00, twice the price that everyone else does. Demand Curve – Simply put, what are people in your area willing to pay? If you price you hauling services too high you may reduce all demand for your junk removal service; however, pricing too low can lead to a large influx of customers which you may not be able to handle when starting out. This is where pricing your service becomes more of an art versus a science. Size of the load – Will it require multiple loads or just one? Weight of the debris – Are there additional charges for heavy loads? Location – Do you charge more based on where the junk needs to be removed? Mileage – How far do you have to drive? As I mentioned earlier pricing varies widely, but here are some junk removal prices from the most popular companies on the web today. The prices we’re taken directly from the junk removers websites. So how do you determine what to charge customers? Do you use any of the pricing strategies above? Or do you just have a feel for what people in you area are willing to pay? Let us know in the comments section below and feel free to add any junk removal pricing tips we may have left out. Thanks and happy hauling!